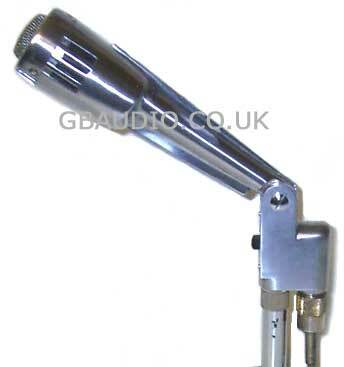 An unusual microphone with cast alloy body and adjustable, "hinged" mount. Lower half of the cast alloy body features an on/off switch, screw-on XLR connector and integral thread mount for mounting on to a mic stand. History: Manufactured in Japan. Any other information welcome.